The STEM Opportunities for Youth website, map and calendar are maintained to enhance public access to information about STEM resources available to Fairfax County children and youth. While every effort is made to ensure the accuracy of the information, we make no guarantees. The inclusion of an organization or program does not imply an endorsement of the organization or program, nor does exclusion imply disapproval. Under no circumstances shall Fairfax County or its employees be liable for any direct, indirect, incidental, special, punitive, or consequential damages which may result in any way from an individual's use of the information included in the STEM Opportunities for Youth website, map or calendar. The geographic data layers produced by the Government of Fairfax County, Virginia, and any associated maps and applications, are provided as a public resource. Copyright by Fairfax County. Except as provided herein, all rights are reserved. 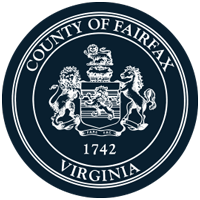 Authorization to reproduce material for internal or personal use by any user of this information is granted by Fairfax County, the copyright owner. Check out fun summer STEM camps offered by county government agencies and university and college programs. You can also view the STEM map in full-screen mode. Click on icons to navigate the map. This application performs best in modern browsers such as Chrome, Safari, and Edge. Calendar Color Guide - Calendar item colors are based on recommended ages of participants. You can find resources and programs in your community by zip code, age of participant, program type or area of special interest. The map is a starting point for program information—please contact the individual organization for event or program details including dates and times, fees, and to register for programs. This map continues to be in development with programs being added regularly. All icons are located in the top right corner on the black bar unless otherwise stated. NEAR ME: To find programs near your home, school or work, type the address into the Find STEM Programs widget on the left. All sites and programs within a two-mile radius will be displayed. To expand the radius, adjust the slider on the widget. STEM TOPICS: To find a certain type of activity, such as Makerspace or creative arts technology, click on the filter widget and select the topic. The icons remaining on the map offer the programs you’re looking for. AGE-APPROPRIATE ACTIVITIES: To find activities for a child’s age, do as above, but select the appropriate age/grade category. FREE ACTIVITIES: To find free activities, do as above, but select the No fee category. Click the layers icon to see the geographies available, such as ZIP Codes. Click the legend icon to see a list of organization types on the map. The information icon displays more information on how to use the map. Creative Arts Technology: Computer aided drafting, music studio, video editing, multimedia, graphic design, 3D printing, etc. Information Technology Development and Programming: Coding, programming, database, apps, web sites, games, data science, software, algorithms, web technologies, etc. Information Technology Networking: Cybersecurity, IoT, OS, wireless and WAN networks, communications, Smart Cities, etc. Information Technology Systems: Robotics, drones, computer hardware, circuit boards, electronics, etc. MakerSpace: A place where children and youth can gather to create, invent, tinker, explore and discover using a variety of tools and materials. SITE LAYERING: If some site icons are too close together to select only one to view, click the zoom button , upper left corner, a few times to zoom in and the site icons will separate for easier selection. You may have to drag the map to reposition it. Hold down the left mouse button and drag. Clicking on the tab at the bottom of the screen opens a spreadsheet listing the current site selections. Under Options, this spreadsheet can be exported to a CSV file and printed. To take the map back to its original view, click the home icon .